The Cobble Hill Association has come up with its own proposal to counter an unpopular 9-foot-high brick wall that Fortis Property Group asked to build around a swimming pool at its 5 River Park development. The wall or fence would extend 49 feet around the pool. 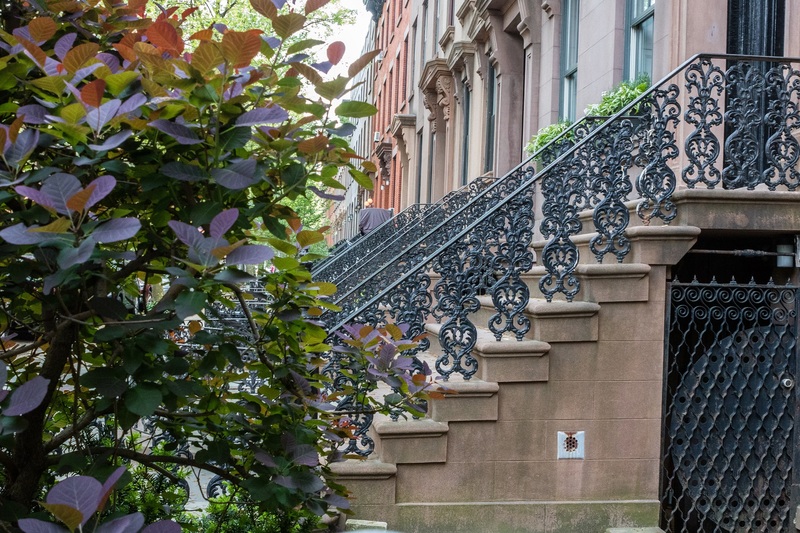 Instead of a wall, the group is submitting a proposal for a classic wrought iron fence to Community Board 6’s Landmarks/Land-Use Committee on Thursday. CHA’s Certificate of Appropriateness application to CB6 describes a 6-foot wrought iron fence atop a two-foot brick base at the property’s front elevation at 347 Henry St. in the Cobble Hill Historic District. 5 River Park is bounded by Amity, Henry and Pacific streets. CHA says the fence would be placed at the building line. After facing community opposition in October, Fortis withdrew its application to build the brick wall, which concerned residents said clashed with the look and feel of the historic neighborhood. CHA said it had been “blindsided” by Fortis’ wall plan. “A 9-foot solid wall for nearly 50 linear feet is not appropriate in our landmarked neighborhood and there is no precedent for such a wall,” she added. “We withdrew the application and are working with the community to reissue a design with community input,” a Fortis spokesperson told the Eagle after October’s CB6 committee vote. The vote was 14 to one, with one abstention. 5 River Park represents the beginning of Phase II of the redevelopment of the former Long Island College Hospital (LICH). Phase I included the Polhemus Residences and Townhouses. 5 River Park would be the first new construction tower to rise within the seven-building LICH site. 5 River Park will house 25 residences ranging in size from one to four bedrooms, which are priced from $1.15 million to more than $7 million. The CB6 Landmarks/Land-Use Committee meeting takes place on November 29, 6 p.m. at the P.S. 32 Auditorium, 317 Hoyt St. in Cobble Hill. They should install an aluminum fence instead of an iron fence. Iron fences have to be painted every once in awhile to look good. Aluminum fencing like the styles on FenceTown.com are rust and maintenance free. Aluminum fence looks like iron but doesn’t have to be painted like steel or iron fence. Any aluminum fence over 60 inches tall will make most local pool codes as well. It would be a better long term option for this project.